Learn How To Prepare Your Own Scrub, 100% Safe For Your Skin! Homemade scrubs are best source of cleansing your skin from all the dirt and the dead cells just in a single go. Homemade scrubs are made completely out of natural ingredients so they don’t have any side effects. They are not only efficient in removing dead cells, but also makes your skin glow as natural ingredients of homemade scrubs have various oils and vitamins that are a must for a beautiful skin. This book was able to increase your knowledge about why human skin needs to be scrubbed, how often and how. 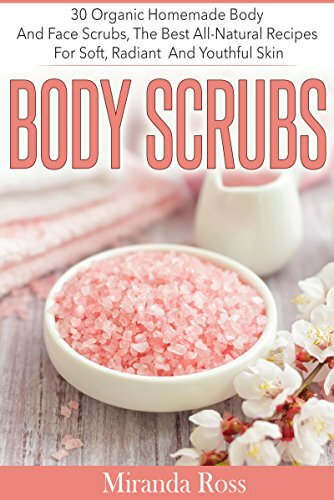 Moreover, this book contains 30 effective homemade scrubs recipes so that you don’t have to apply commercially produced scrubs. Make your own scrubs using natural ingredients and keep your skin away from chemicals of commercially produced scrubs. Stay young by using homemade body and facial scrubs! Why scrub is necessary to have radiant skin? Why your skin needs scrubs? Take action today and download this book with big discount for $2.99 $9.99. Limited time offer! Don’t wait for next year’s resolutions, read this short e-book and get radiant and more beautiful skin now! Scroll to the top of the page and select the “add to cart” button.